Keloids are scars that form as a result of the overgrowth of tissue at the site of a skin injury. Keloids tend to be elevated above the skin and grow beyond the boundaries of the original wound. They may take months to years to develop and do not regress with time. Keloids are not harmful towards your health; however they may be removed for cosmetic reasons. Keloids can form from skin damage that occurs from burns, surgical incisions, vaccinations, piercings, severe acne or even small scratches. Who is affected by keloids? Keloids are more common amongst individuals between the ages of 10 and 30, however all age groups are susceptible to keloids. Individuals with darker skin complexion appear to have a higher risk of developing keloids, with an estimate frequency of 4%-16% among individuals of Asian, Hispanic, and African descent. There are many treatment options for keloids. The most commonly used treatment for keloids is corticosteroids injections. The keloid is injected with corticosteroids in order to reduce the size of the keloid. Other treatment options for keloids include surgical excision, laser treatment, radiation therapy, pressure therapy, and silicone-based occlusive dressings. 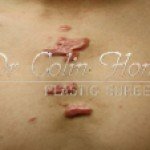 Are hypertrophic scars and keloids the same? Hypertrophic scars and keloids are similar in that they are scars that develop from excessive collagen buildup from the healing of a wound. However, keloids enlarge beyond the boundaries of the wounds, while hypertrophic scars remain within the boundaries of the wound. Hypertrophic scars usually develop within 2 months of the injury and tend to regress with time. Keloids, however, can take many months, even years to develop and do not regress over time. 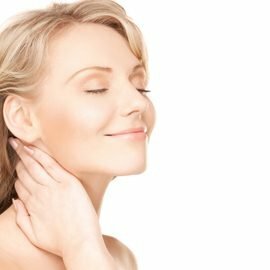 Sometimes after the treatment, patients may experience facial flushing, however, this is only temporary and will subside within a few hours. Patients with diabetes may have elevated blood sugar levels and should carefully monitor their blood levels after the injection. Patients with diabetes should notify their doctor prior to the injection. With frequent corticosteroid injections, patients may experience thinning skin, weight gain, high blood pressure, and osteoporosis (weakening of the bones). However, these side effects should decrease with a decrease in dosage and number of injections. “Corticosteroids – Side Effects.” NHS Choices. National Health Service, 8 Nov. 2011. Web. 03 Aug. 2013. Driver, Catherine Burt, MD. “Cortisone Injection.” MedicineNet. WebMD, n.d. Web. 03 Aug. 2013. Jacoby, David B., and R. M. Youngson. Encyclopedia of Family Health. Vol. 7. Tarrytown, NY: Marshall Cavendish, 2005. Print. Jansen, David A., MD, FACS, and Joseph A. Molnar, MD, PhD, FACS. “Keloids .” Keloids. WebMD Health Professional Network, 30 Jan. 2012. Web. 20 July 2013. “Keloid.” Wikipedia. Wikimedia Foundation, 17 July 2013. Web. 20 July 2013. “Keloids: MedlinePlus Medical Encyclopedia.” U.S National Library of Medicine. Ed. Kevin Berman, MD, PhD. U.S. National Library of Medicine, 30 Jan. 2012. Web. 20 July 2013. Rumsey, Nichola, and Diana Harcourt. The Psychology of Appearance. Maidenhead, England: Open UP, 2005. Print. Schneider, Melinda, Elissa Meites, MD, MPH;, and Steven P. Daane, MD. “Keloids: Which Treatment Is Best for Your Patient?” The Journal of Family Practice 62.5 (2013): 227-33. Consumer Health Complete. Quadrant HealthCom Inc., 2013. Web. 20 July 2013. 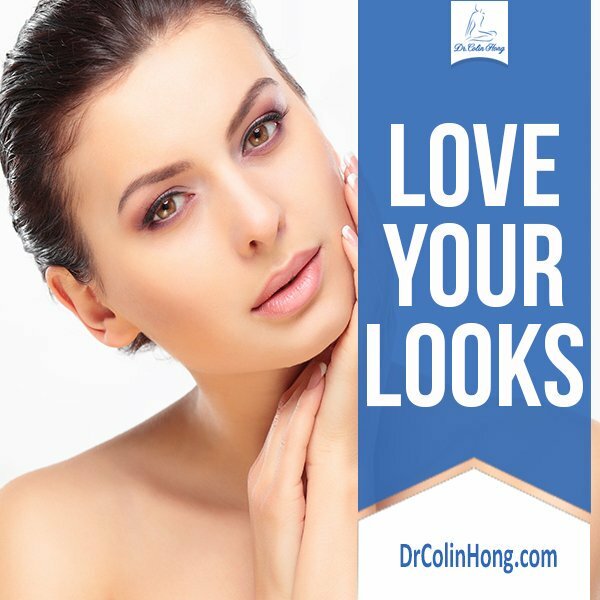 Dr. Hong is a skilled and highly gifted body-shaping specialist. He provides several sophisticated surgical procedures. Two examples are thigh lift and buttock augmentation in Toronto. 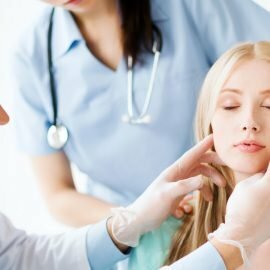 He is also a leading authority who specializes in helping liposuction, arm lift and tummy tuck Toronto patients attain the cosmetic results they long for.